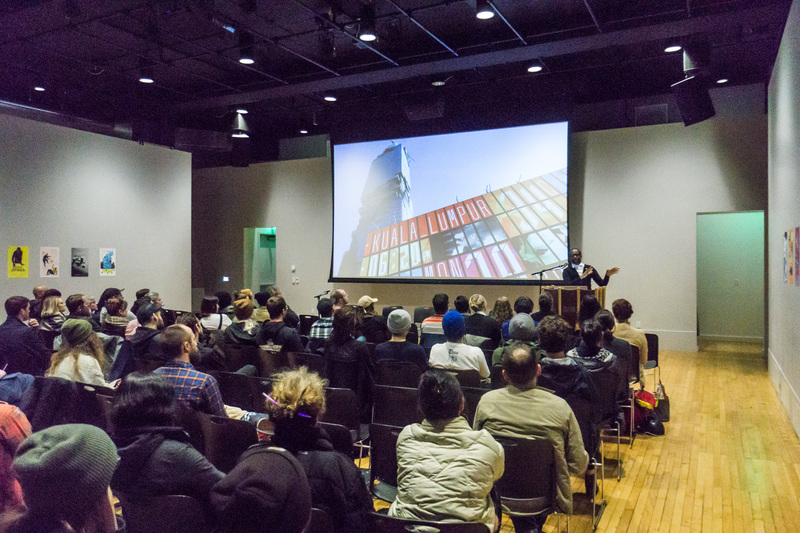 As a part of AIGA Portland’s Design Week Portland event, Eddie Opara led an evening discussion about the meaning and application of design in everyday spaces. 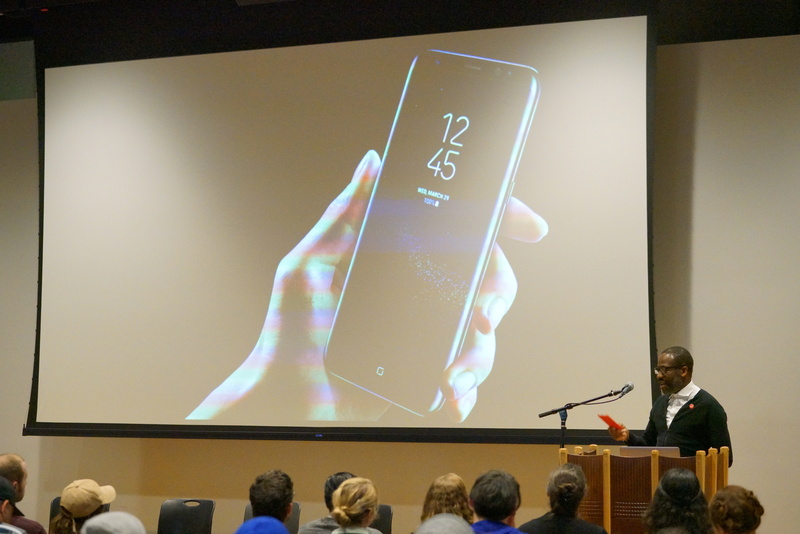 Sharing case studies, Opara went into topics of prototyping, experimentation, ideation, and more, exploring the future of graphic design and its potential impact within the world. His work encompasses strategy, design, and technology to create experiences that go beyond the surface, understanding what it takes to truly elevate an experience. For the most part, Opara would describe his work as neutral — but that doesn’t stop him from pushing the boundaries and expanding the experience at all available opportunities. Opara’s work on the new Samsung S8. 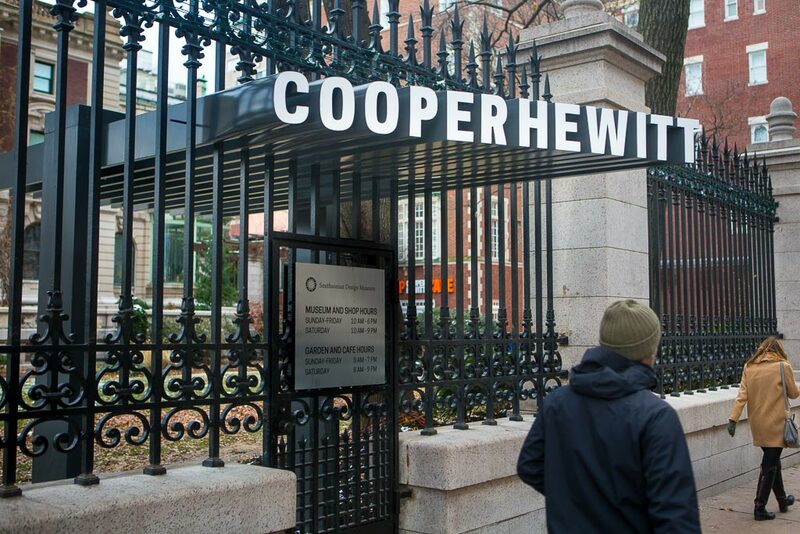 Cooper Hewitt redesign by Opara’s team. Opara walked us through two projects that he worked on which look at the impact of spectacle: cocktail making robots and an interactive screen the size of a building (MahaNakhon CUBE in Bangkok, Thailand). They take the idea of a standalone object, an objective experience, and add a level of interaction and environmental immersion that should change our perception of the experience and the opportunities allowed. Opara’s team at Pentagram spent 30 days developing an experience that allowed event attendees to order cocktails custom-mixed by robots. The MahaNakhon CUBE in Bangkok, Thailand. Opara’s most recent personal projects is Parasites, exploring the possibilities of building onto something that already exists, the importance of spreading a message, and the ability to create designs that inspire, educate, and outlast a set timeframe. Opara argues that we are at a point where we too-often don’t understand the impact of what we are doing. We sign up for contracts and let companies roll over us, essentially handing them more information than to what the government has access. It’s an entirely new culture that we’re building for ourselves, a new paradigm of understanding and relationships that we haven’t yet taken the time to consider. It’s exciting, but also frightening — and worthy of pause. Opara discusses parasitic work around the world. 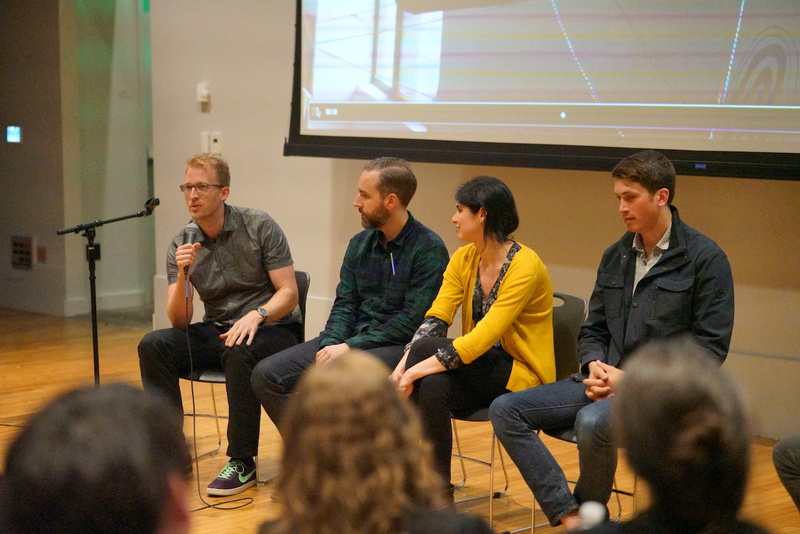 As designers, we have the opportunity and obligation to drive the discussion. Using architectural parasitic forms, we can create protests that have staying power. We can change the world into a better place, taking what exists or has been destroyed and building on top of it to create something new, something powerful, something transforming. 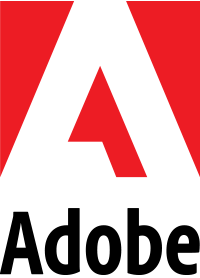 We can’t always wipe away the media frenzy, but as designers we have the ability to build on top of it. By integrating signage and messaging into a structure, we can create experiences that interrupt, educate, and drive change. During the day-long workshop, Opara worked with teams of designers to infuse meaning into everyday spaces. The results were inspiring and perception-challenging, highlighting the importance of designing with intention and for long-lasting change. 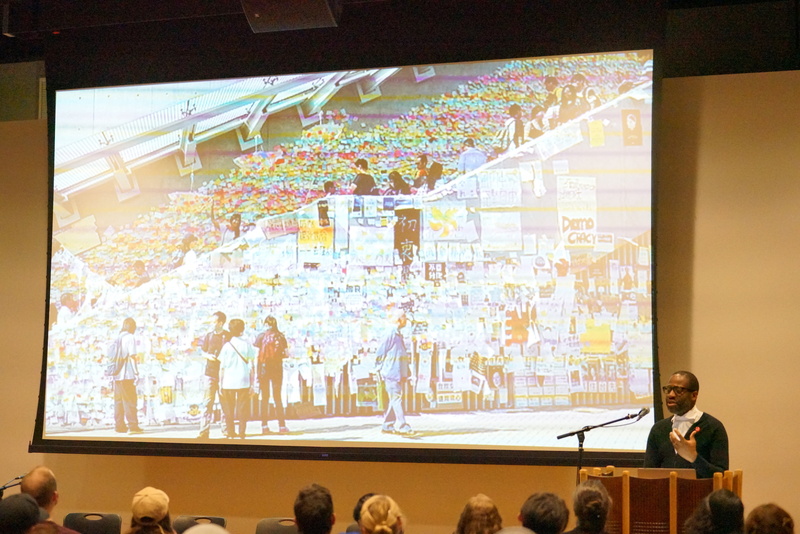 Participants were challenged by the audience in questions ranging from their ability to create long-lasting change, their plans for design locations, and how the experience has changed them. What resulted was a discussion that pushed the participants to think further about their designs, and the audience to reconsider their own part in how we engage with the world. Opara and a team from the Design Week Portland workshop discuss their project with the audience. 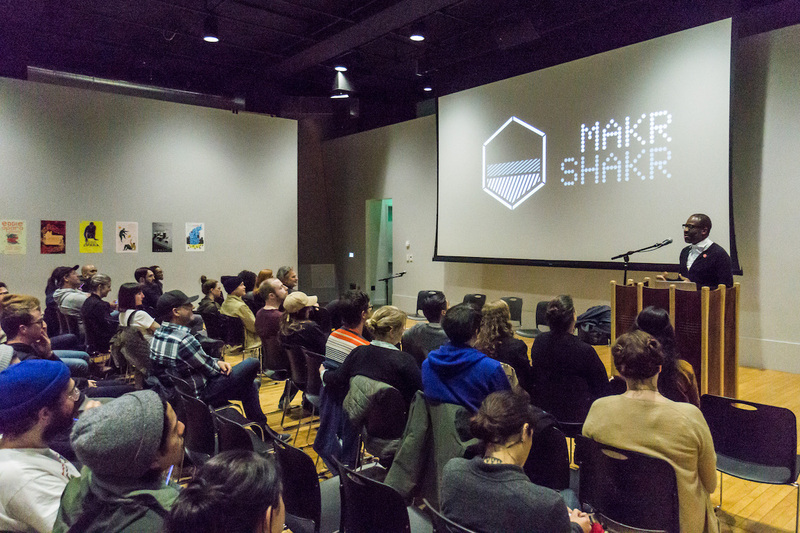 Click here for more information about the Design Week Portland’s projects.